If you want to surprise to people on Omegle, Facebook trick will work and you are going to chat with people for a while. This trick is quite easy and easy to do. You don’t need to do anything special or write some codes for Facebook trick. Very useful for make longer chat with girls. Update: Unfortunately this trick is known by anyone at the moment. This was a popular one when we have published it in 2013. However 6 years passed on this trick and people are used to know about this. Therefore it is highly likely that it is not going to work on people well now. You can still give a try to that though. Especially this can work on teens at times. If you have any questions about this, please leave a comment below. We will still help you for this trick. You can see our general tips and tricks about the website on this guide. 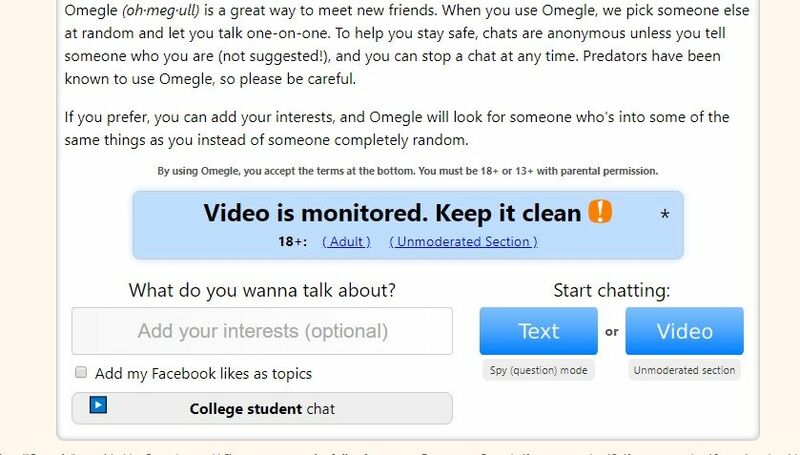 : Omegle Tips and Tricks. It’s very old-fashioned Facebook trick and still some people don’t know about it. you should copy this link “http://www.Facebook.com/profile.php?=99922363” and send it to your partner. And tell him that “you know him” or you know about his facebook account. It’s going to surprise him or her and he will start to speak about your Facebook Trick. He / She will ask many question about himself and it makes you enjoy with conversation on Omegle. Many people know about these tricks. You should be careful first and try to speak normally when you begin to chat. Otherwise Facebook trick may not work against your Omegle partner. Stranger: sure :D 19 m Bulgaria here what’s up? You: hey wait. are you sure you are from Bulgaria. You: hmm you look like a German. Stranger: How come you know about my Facebook account? You: Yes I know you. If you also know any good trick about Omegle, you can share that with us. We are going to respond your shares as soon as possible. You can write those to our comment system below. You don’t need to write your name nor email to write us at all. All you need to do is filling the message field. We will come to you more tricks on Omegle incoming days. See our tricks to find girls on Omegle. It’s an awesome tip. Thanks. That’s working well. I am half African, half English. If you would like to chat with me just tell me. It was really fun man! Nice trick. I hope you will give us more of these. It’s very nice! Lol! I have done it against someone and I laughed much. Thanks! Lol! It’s working good. I have teased a girl with this trick and she was mad. I have done this trick with IRC chat. HEHE! It was very hilarous. All people were shocked! Lol! It was very good trick. I have tried it a few times on Omegle and I laughed much. Thanks man! I am watching your articles!